If you’re an indecisive person, avoid Mercedes-Benz. 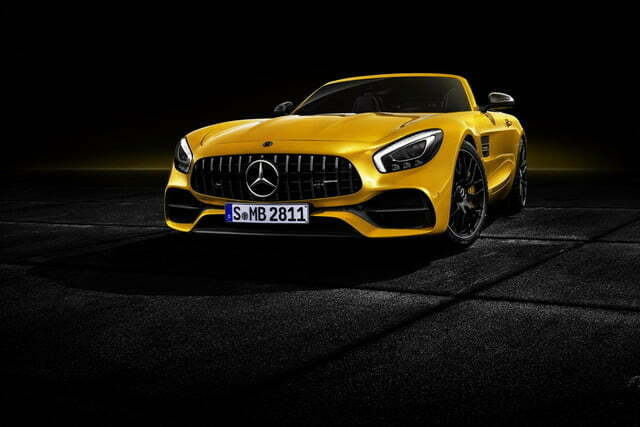 The German automaker currently offers no less than four road-going variants of its Mercedes-AMG GT two-door coupe (plus two racing versions), and will soon add three variants of the new four-door coupe model to the lineup. 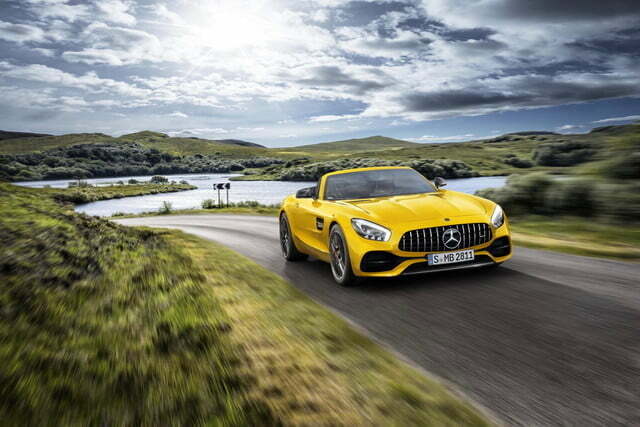 As if that wasn’t enough, Mercedes is adding a third version of the AMG GT Roadster convertible. 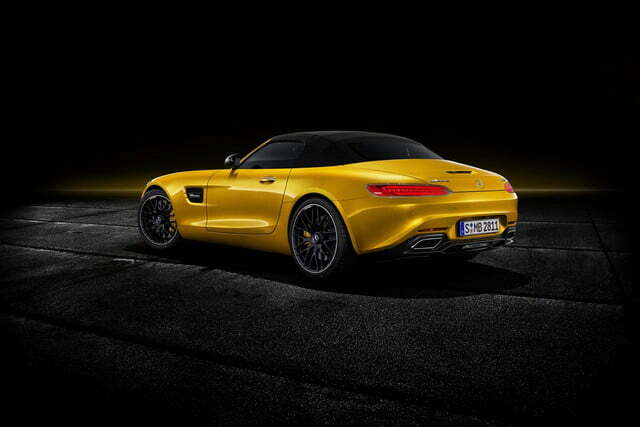 The Mercedes-AMG GT S Roadster sits between the base AMG GT Roadster and the top-of-the-line AMG GT C Roadster in the convertible hierarchy. Like the other convertibles, it uses a 4.0-liter twin-turbocharged V8, in this case producing 515 horsepower and 494 pound-feet of torque. 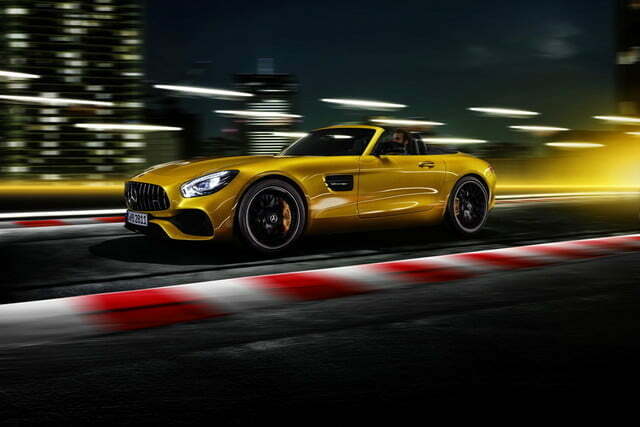 That puts output right in between the 469 hp and 465 lb-ft of the AMG GT Roadster, and the 550 hp and 502 lb-ft of the GT C.
As with other two-door AMG GT models, power is sent to the rear wheels through a seven-speed dual-clutch transmission. The gearbox is actually mounted at the back in a transaxle configuration for better weight distribution, which in turn improves handling. Despite having its engine in the front, the GT S Roadster has a slight rearward weight bias at 47/53 percent front/rear, according to Mercedes. 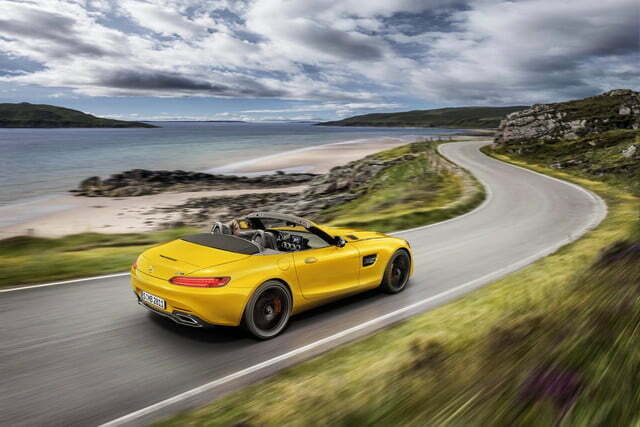 Mercedes expects the GT S Roadster to do 0 to 60 mph in 3.7 seconds and reach a top speed of 192 mph. Again, that puts the GT S right between the GT (0 to 60 mph in 3.9 seconds, 188 mph top speed) and GT C (0 to 60 mph in 3.6 seconds, 196 mph top speed) Roadsters. 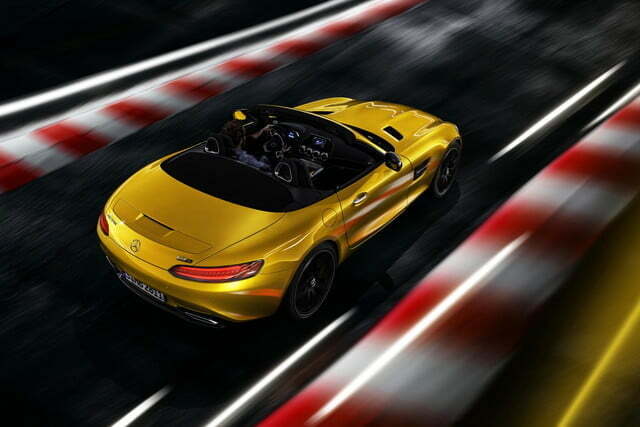 The GT S Roadster comes standard with adaptive dampers and an electronically controlled limited-slip differential. 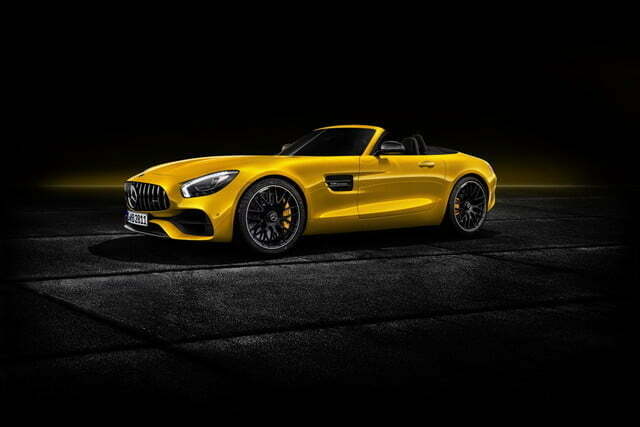 As with the other convertible models, the GT S Roadster gets a power-folding fabric top (Mercedes notes that it weighs less than a metal roof), Airscarf neck-level heating system, and available ventilated seats to keep occupants cool while cruising with the top down on summer days. Nappa leather upholstery and carbon fiber interior trim are available as options. 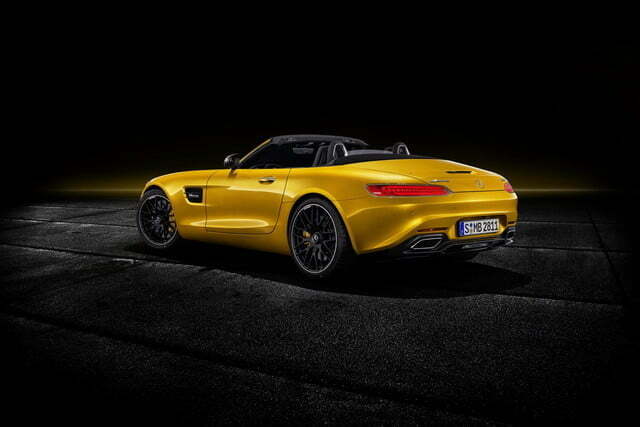 The Mercedes-AMG GT S Roadster hits U.S. dealers later this year. Mercedes won’t disclose pricing at this time, but expect the sticker price to sit somewhere between the $124,400 base price of the AMG GT Roadster and $157,000 base price of the AMG GT C Roadster.